Keep a watchful eye on your property with the ivory WiseNet X Series XND-L6080V 2MP Network Dome Camera from Hanwha Techwin. 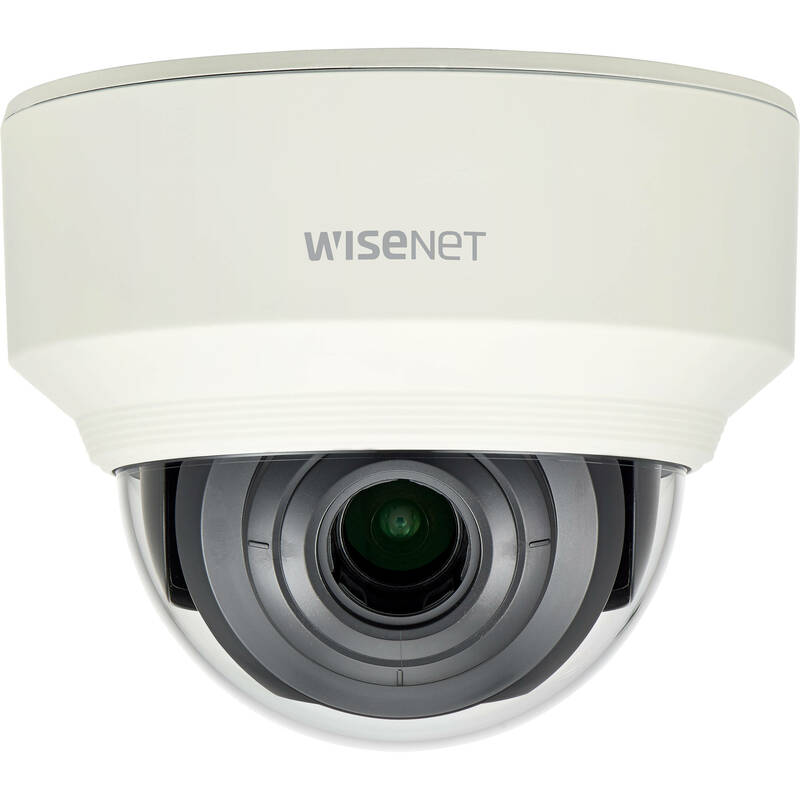 Equipped with a 1/2.8" 2MP CMOS sensor and a 3.2-10mm 3.1x motorized varifocal lens, the XND-L6080V captures video at resolutions up to 1920 x 1080 at 60 fps in fields of view ranging from 109 x 57.4° to 33.2 x 18.7°. The camera has an automatic IR cut filter and offers image enhancement features including wide dynamic range and automatic white balance for capturing images in varying lighting conditions. PoE enables you to run just one wire for both data and power while ONVIF compliance ensures compatibility with a wide range of surveillance devices.